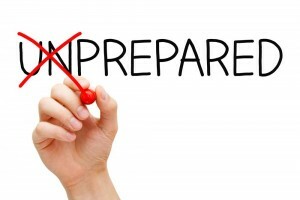 Being prepared for any emergency means planning ahead before there is one. Here are a few things you can do to prepare for a plumbing emergency. Preparation includes the right equipment, some basic knowledge, and knowing when to call a professional. The last item is knowledge. You will need to know how to use the tools, the general layout of your plumbing system and how and where to turn the off the water, water heater and the heat source. The first step is stay calm but act quickly. Begin by locating the problem. Turn the water off using an isolation valve when possible. If you cannot find the source of the problem or if it is too big to contain by turning off an interior valve, the immediate solution is to shut off the water supply to the entire building at the main tap. One way to prevent any further water damage to the interior is to turn on all of the exterior spigots to drain the pipes directly outdoors. Generally homeowners can handle minor issues on their own. Unclogging a drain or toilet is almost common knowledge. Some can handle more advanced issues involving replacing faucets or disposers. In the event an emergency is bigger than anticipated, or out of ones abilities or comfort zone, a plumber should be called. Generally the right plumber will be different for everyone. However, here are some guidelines to finding the one that is right for you. Longevity. How long have they been in business? Is the company stable? If you are still in doubt, check for references or read online reviews. Hopefully plumbing issues will not be in your future. Using these general guidelines should assist most people in preparing for and resolving a plumbing emergency. 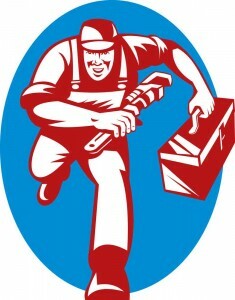 Looking for an emergency plumber in Annapolis? Call Heidler Plumbing at (410) 268-7191 for quality service you can trust!